Description of decorations: My aquarium is without water plants, for years there are roots and aerial roots of the Monstera and Efeutute. 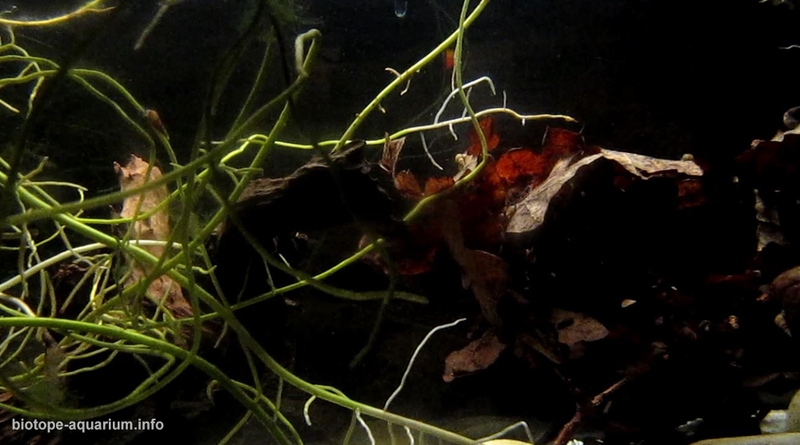 Both room plants grow and feed entirely on the aquarium. Ground consists of beige sand and fine gravel (0.1 to 1 mm). Its height is between 5 and 8 cm. Rounded larger river pebbles, driftwood, oak leaves (Quercus), walnut leaves (Juglans regia) and Cocos nucifera (two nutshells of which), both stranded from “Brazil”, complete the setup. Description of equipment: Filter: Hamburger Matten Filter (box sponge 10Bx10Tx35H cm). Flow: Eheim compact pump 300 lph. Lighting: Müller-Licht LED 7,5 W, 400 lm, 4000 K. From 9.30 to 11.00 and 17.00 to 22.00 for observation. Plexiglas cover, right and left about 10 cm open. Water parameters: pH is 8, GH is 11,7, KH is 11,4, nitrite is 0. Water temperature varies depending on the season between 21 and 25 degrees Celsius. Description of the area surrounding the biotope: The Pantanal is located in the central southwest of Brazil in the states of Mato Grosso and Mato Grosso do Sul and the Mato Grosso Plateau, small parts of the Pantanal are still in the east of the neighboring western states Paraguay (Department of Alto Paraguay) and Bolivia. In Paraquay it is a flooded area with slow-flowing waters in the rainy season (from November to March). Armored catfishes as intestinal respirators are well adapted to the rest of the year in pools or small lakes. In nature, under certain circumstances, they can survive in such expectancy up to one year. Source: partly from Wikipedia. 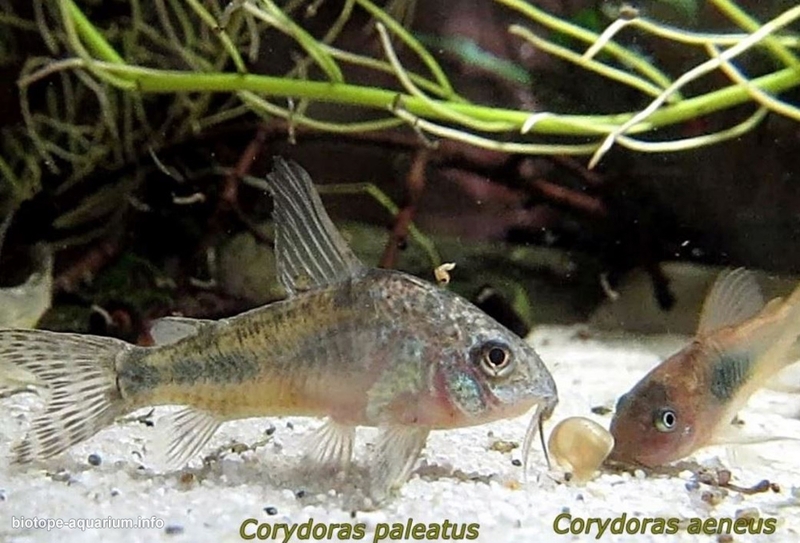 Description of the underwater landscape of the biotope: Corydoras paleatus and Corydoras aeneus live on sandy soil, sometimes mixed with clay. 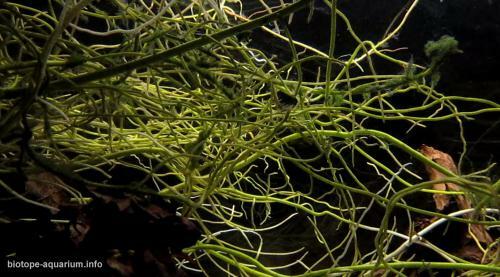 They hide at the margins of the river between roots, also from outside, and foliage completes the habitat. 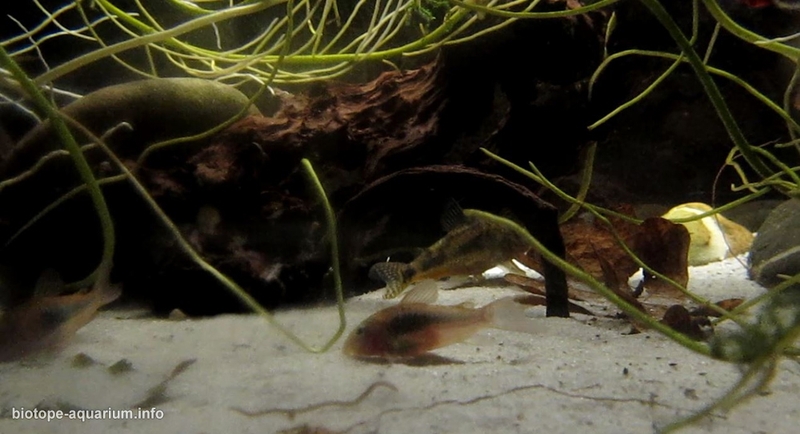 Description of the parameters of the habitat: 18° 0′ S, 56° 30′ W.
List of fishes and invertebrates occurring in the nature biotope: Hyphessobrycon bifasciatus, Salminus brasiliensis, Abramites hypselonotus, Pseudoplatystoma fasciatum, Cichlasoma dimerus, Bujurquina vittata, Crenicichla semifasciata etc. 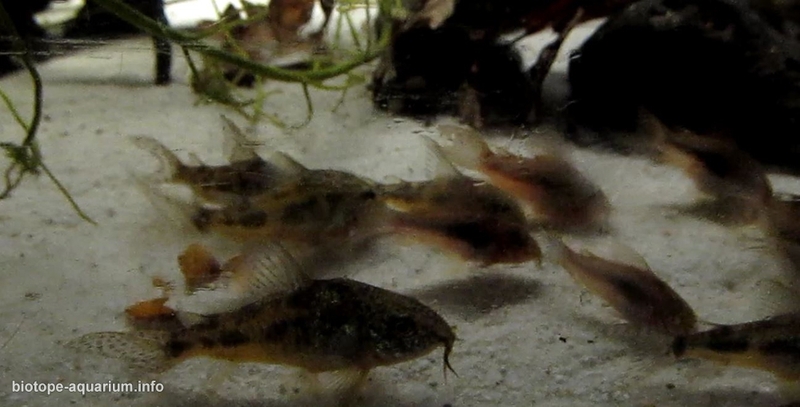 Corydoras paleatus, Corydoras aeneus. Due to the large distribution area of the two species, it is not 100% sure whether they are actually the same species or subspecies that live there. Hopefully more will be explored here in the future. List of plants found in the nature biotope: Water: Echinodorus tenellus, Pistia stratiotes, Eleocharis vivipara, Echinodorus uruguayensis. Land: Carapa guianensis, Hymenaea courbaril. Threats to the ecology: More recently, the Pantanal is threatened by ethane factories in its catchment area, whose untreated sewage enters the widely ramified river system of the wetland. At the same time, the construction of new sugar cane and soybean plantations in the highland Cerrados reserves threatens biodiversity, exacerbated by the use of heavy agricultural machinery, erosion, with subsequent changes in river management, and deteriorates water quality through the use of fertilizers and pesticides. A study by the environmental organization Conservation International do Brasil concludes that as early as 2050, the natural plant world could be completely extinguished if the destruction continues at the same pace as before. Source: Wikipedia.